As a sub-genre of R&B (rhythm and blues) and some infusions of Rock & Roll, Doo-Wop has a rich musical history. Doo-Wop not only still influences music today, but it also has a lively fan base that remembers some of its most accomplished acts. Affordable Music Productions has arranged outstanding shows comprised of some of the most loved artists from the Doo-Wop era. 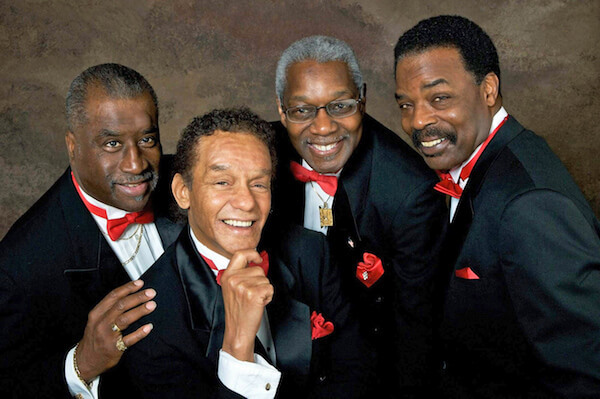 If you love great music, you’ll love our Legends of Doo-Wop show! Take a look at briefs of the lineup below. Finding his start in a locally acclaimed vocal group in New York called The Five Crowns, Charlie Thomas would go on to make his mark on the music world. His most known work would come with his vocal talents featured with The Drifters. The Five Crowns found their shot after a performance at The Apollo. George Treadwell, the manager of The Drifters, had just fired the group. Seeking new talent, he saw the rising talent of The Five Crowns and recreated them as the new Drifters. The newly formed group consisted of Charlie Thomas as the lead vocalist, Ben E. King as a baritone, Dock Green, and Elsberry Hobbs. Their next release, entitled There Goes My Baby, was a hit in 1959. Charlie Thomas would go on to lead in the Drifters hits When My Little Girl Is Smiling and Sweets For My Sweet. 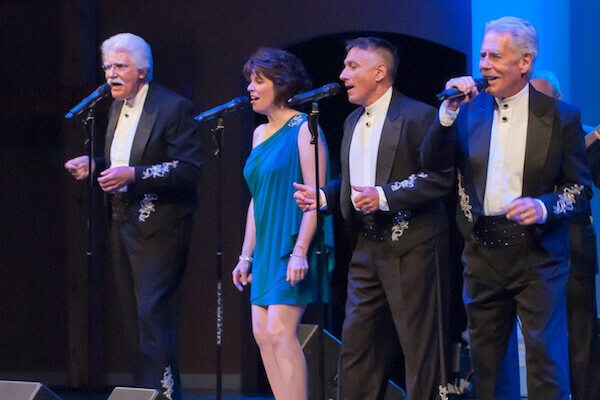 These legends of Doo-Wop hail from Pittsburg, the Skyliners featured the vocals of Jimmy Beaumont, Joe Verscharen, Jackie Taylor, Janet Vogel, and Wally Lester. Over the years, a few of the members were exchanged. However, the group continued along. The group enjoyed Top 40 hits This I Swear, Pennies From Heaven. Fan favorite songs of the Skyliners include It Happened Today, Close Your Eyes, and Comes Love. Jimmy Beaumont established himself as both a Doo-Wop lead and a dramatic soul singer. His two singles I Feel Like I’m Falling In Love and You Got Too Much Going For You. Many fans were amazed when they discovered that Jimmy sang these songs. Named after a popular hairstyle of the 50s, the marcel wave, The Marcels formed in Pittsburg as a doo-wop group. Nevertheless, they made a name for themselves for being able to convert memorable songs into Rock & Roll. Their popularity skyrocketed to the point of being highlighted in the film Twist Around the Clock in 1961. Two of The Marcels were also in the 1964 movie Bikini Beach. Are you ready for the Legends of Doo-Wop? Act fast, order your tickets to our next show today! ROCK AND ROLL HALL OF FAMER Charlie Thomas was a member of a group known as the Five Crowns in 1958 along with Ben Earl Nelson (later known as Ben E. King). 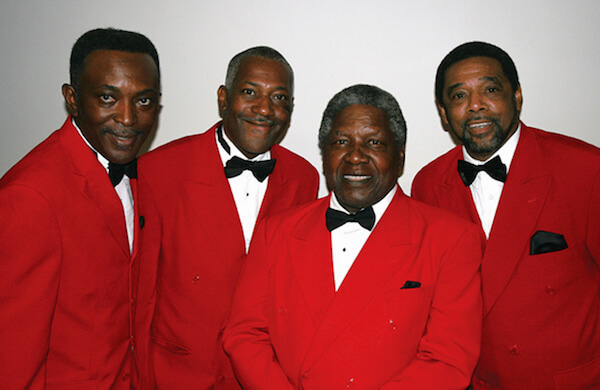 The Five Crowns enjoyed local popularity and that is why they were on the bill at the Apollo Theater in New York City in 1958 when George Treadwell fired his famous group, The Drifters. It was Charlie Thomas’ voice that Treadwell heard and hastily recruited the Crowns to become the “new” Drifters. The new Drifters first release in 1959 was a song called “There Goes My Baby”. This was the beginning of what is generally acknowledged as the Golden Years of the Drifters. In 1988, Charlie Thomas, along with other original members were inducted into the Rock and Roll Hall of Fame in New York City. You can hear Charlie Thomas as a lead singer or a strong tenor background on Drifter classics such as When My Little Girl Is Smiling, Save The Last Dance For Me, Under The Boardwalk & more. True to the group’s vision of combining two musical styles, The Skyliners’ blue-eyed soul delivery is balanced by a full orchestra arrangement. The same concept would later prove successful for the Drifters, The Duprees and Phil Spector.